I just came back from a 4-day trip to Reykjavik, Iceland. If you’re Vikingland-bound any time soon (and you should be, because it’s almost an unveiled secret by now), the facts below may help you. Reykjavik is on the South side of a bay. 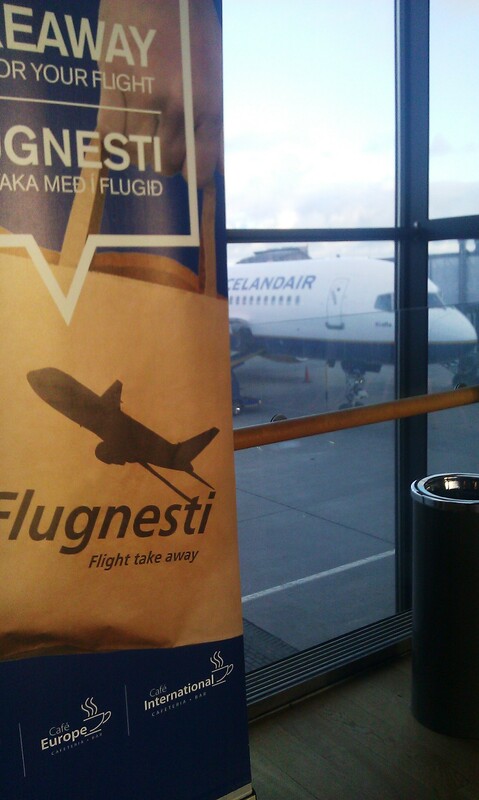 Icelandair, the national airline of Iceland, just started all-year-round flights from Toronto to Reykjavik. ** It’s a 6-hour flight in comfy Boeings ** Check the Icelandic documentaries in their entertainment offer, it’s a treasure (saw ELECTRONICA Reykjavik; ICELAND AIRWAYS festival; SIGUR ROS Heima; and one about the 2008 crisis). 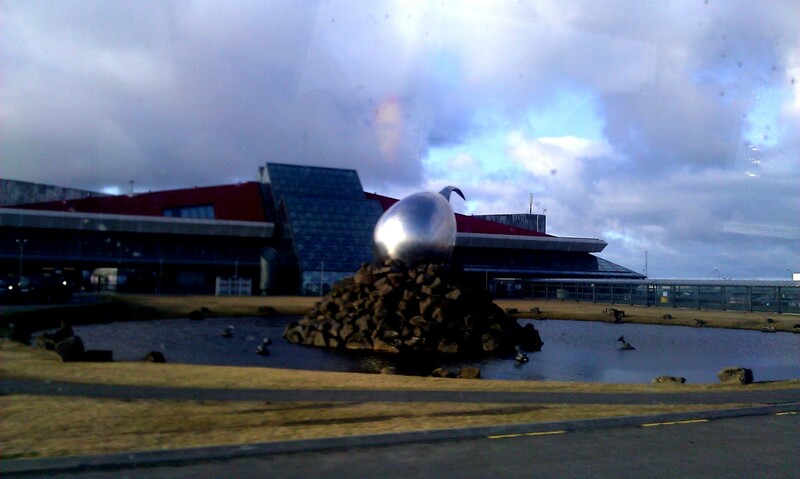 KEFLAVIK is a modern airport located at 45 minutes from the capital Reykjavik. 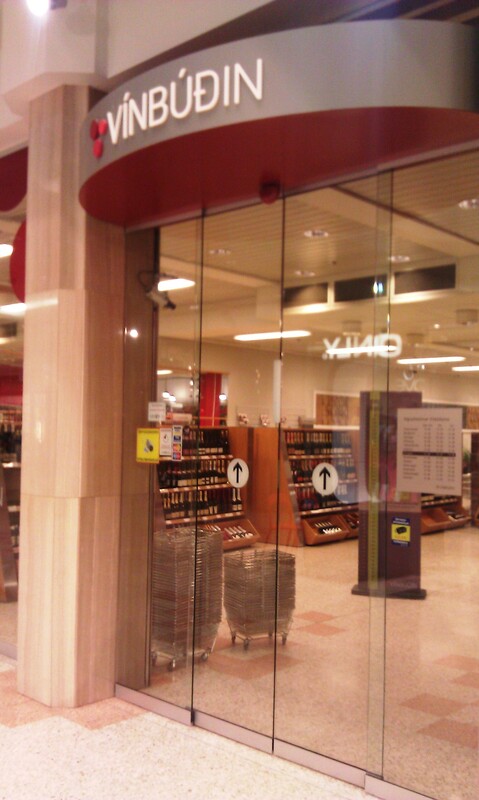 *** TIP: buy your liquor while in the airport, it is tax-free. There are two companies running bus shuttles to the city. Their desks are easy to spot by the exit door. They run hourly, so do not panic if you miss one. *** TIP: buy a round trip directly, to save about 5 dollars. The total round trip is about $45. 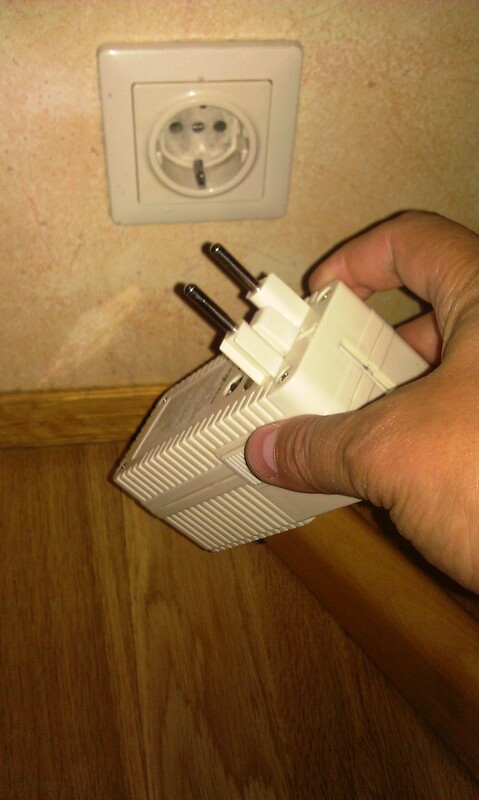 *** TIP: they have wifi in the bus, so don’t waste time updating your Facebook in the airport. The 45-minute ride from the airport to Reykjavik is a float on lava fields surrounded by once-wicked volcanoes. *** TIP: keep your Canon handy. There is a Best Western, if you are looking for a familiar hotel name. 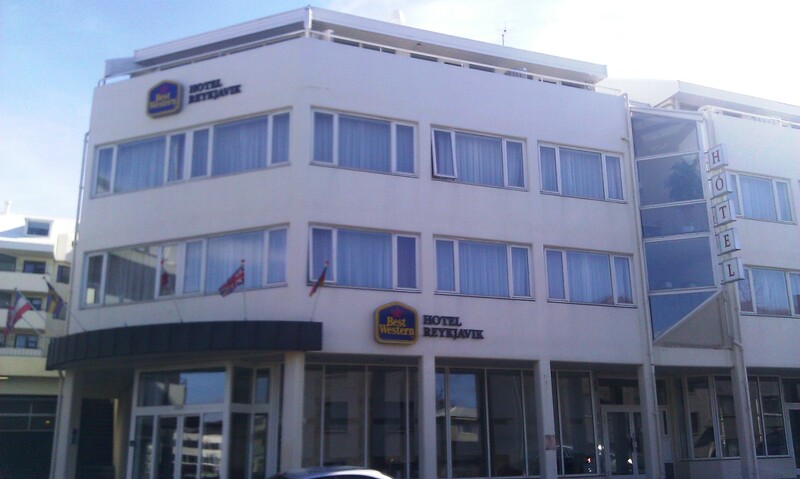 ** TIP: Cab drivers know it as HOTEL REYKJAVIK. The downtown/uptown core is walkable – a beautiful walk – all within a 60 minute leisure stroll. 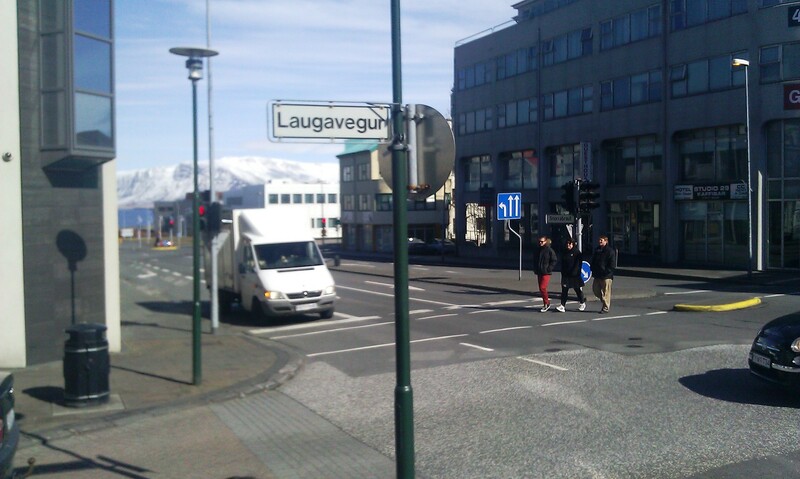 ** in the picture, a Yonge&Bloor, Reykjavik style. Mount Esja looming across the bay from downtown Reykjavik. 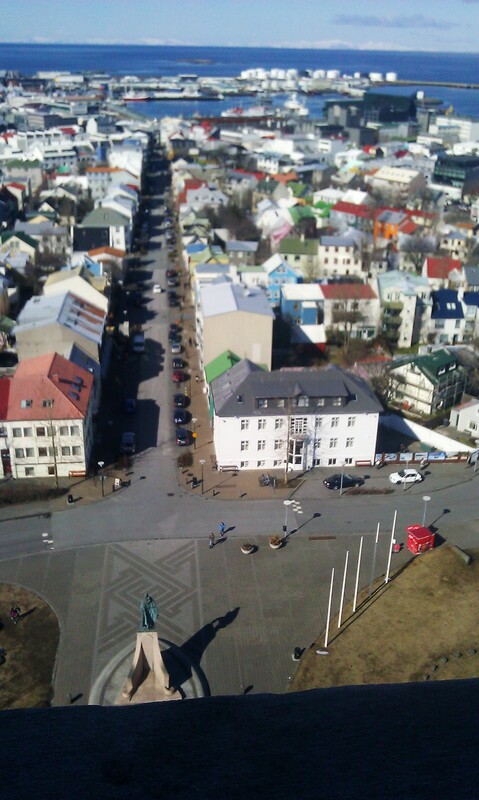 On a sunny day you must get on the Hallgrímskirkja church tower. 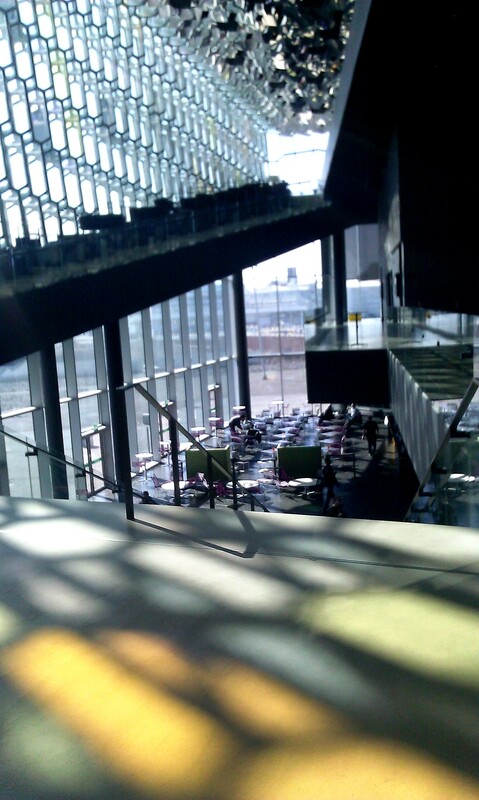 ** the dark building at top-right is HARPA, the concert hall where the Tectonics festival was held *** TIP If it’s sunny, don’t hesitate and climb to get the pictures. In April, most of the days are not sunny. 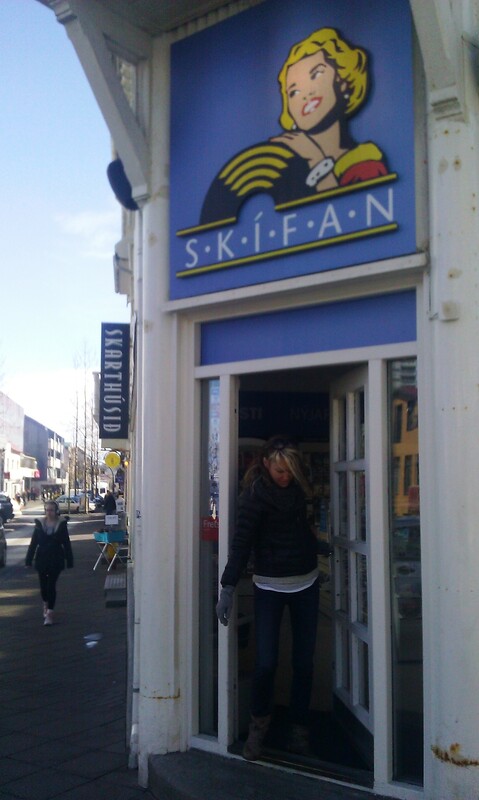 Quite a few record stores in Reykjavik’s downtown – a sight missing already in Toronto. 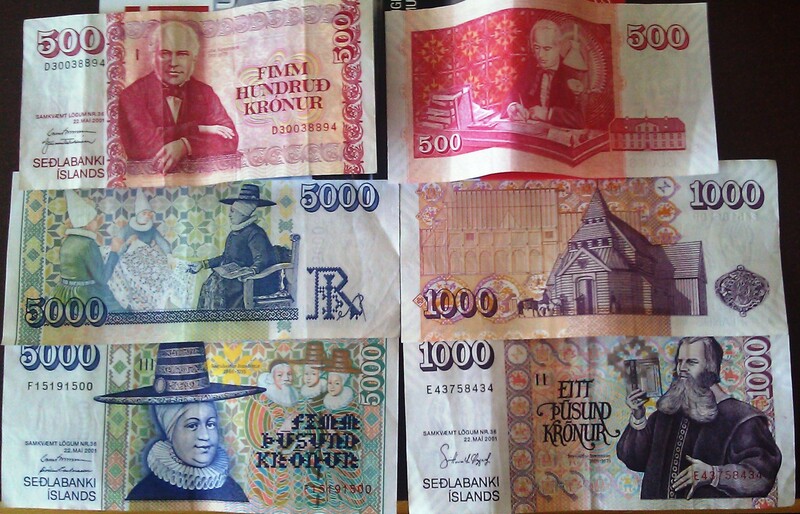 The loonie can’t really buy you much in Rekjavik. 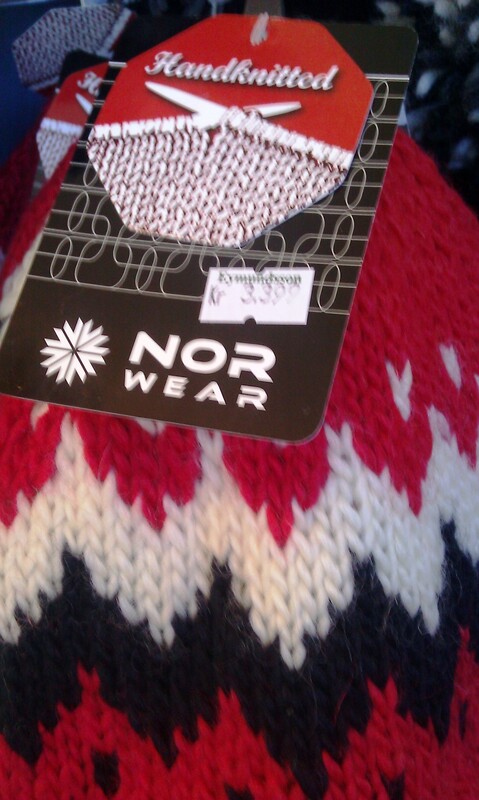 A souvenir hat knitted in the national pattern carries a 33 CAD tag. ** TIP: Iceland is not a cheap destination. 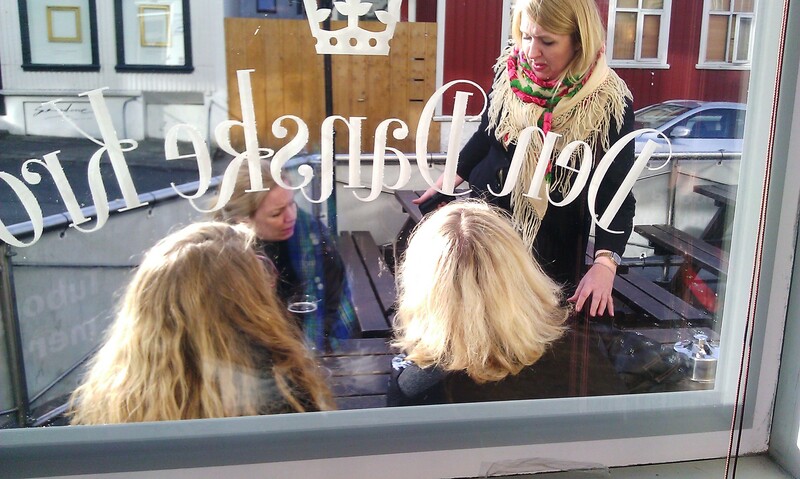 Reykjavik girls? All beautiful blondes. Not a cliche, as you can see -) *** TIP A pint of Tuborg is 10 CAD in downtown, but virtually all pubs have a 4-7 PM happy hour (beer half a price). 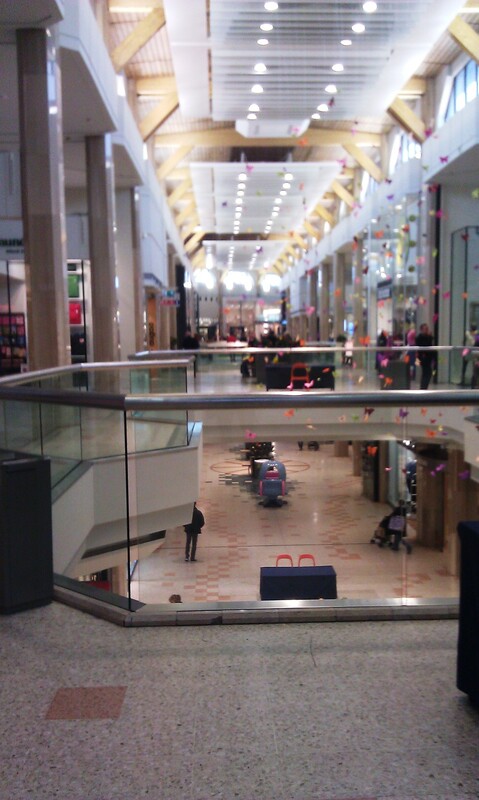 The Reykjavik mall is not in the downtown core, but a 10-minute taxi ride away. 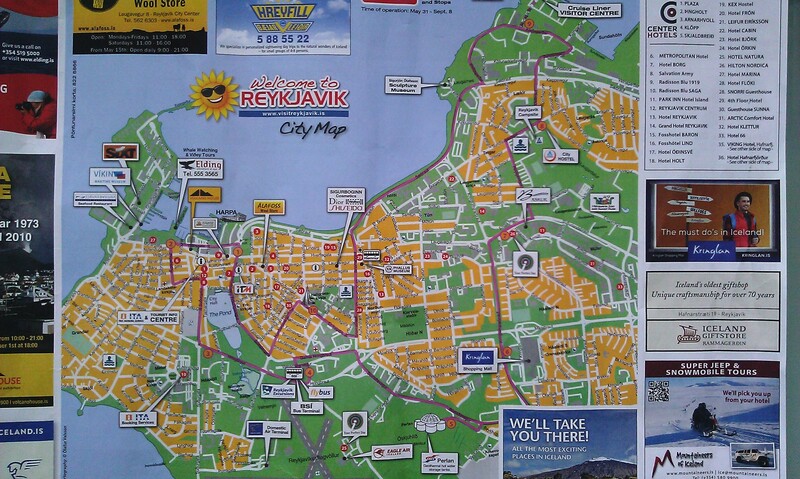 *** TIP Taxis are not cheap in Reykjavik. They are limo-style and for a 10 minute ride I paid about 16 CAD. 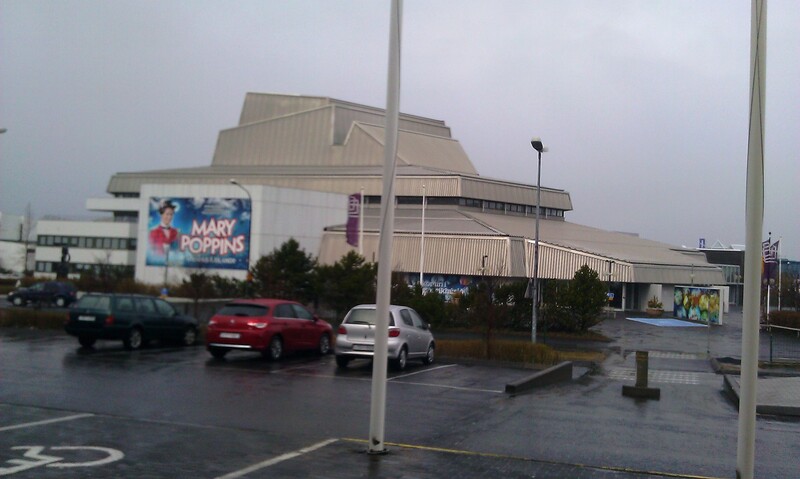 The national theater is located behind the mall in Reykjavik, and you can see what they were playing in April 2013. 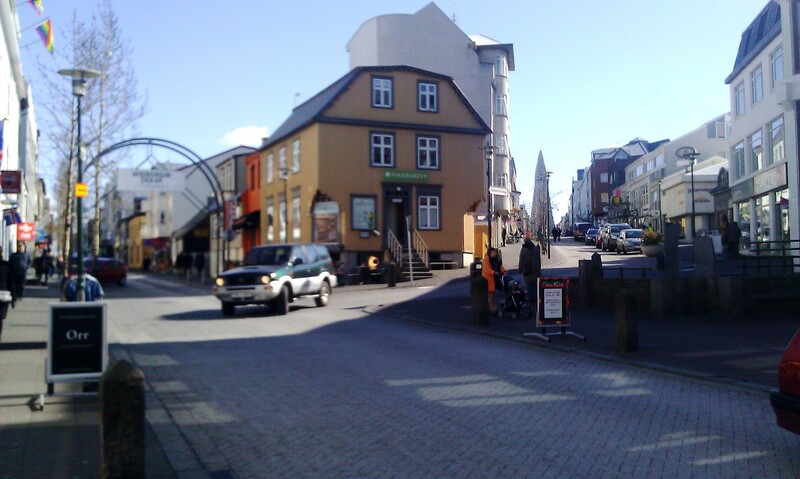 Just across the theater is the Iceland National Broadcast Centre. Listen here to sounds from the FM stations in Reykjavik, as I recorded them in my hotel room. 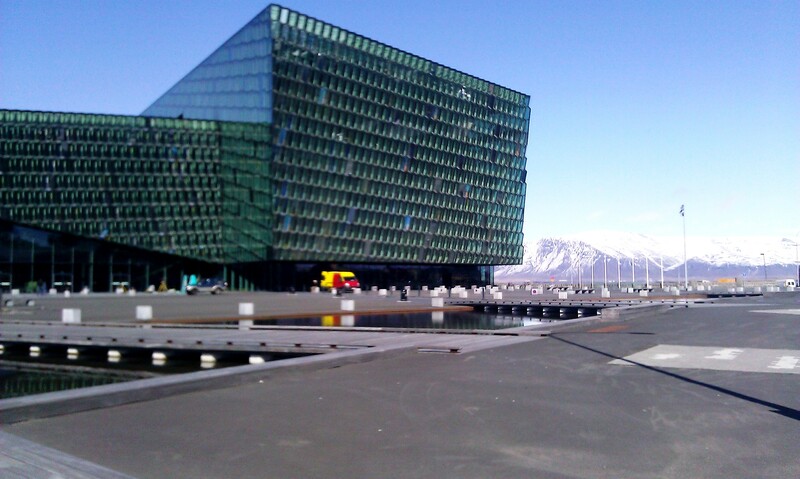 Harpa, the most beautiful instrument, is the name of this fabulous building in Reykjavik. A concert hall, conference place, a building with a drama to tell about its upcoming. *** TIP Take the tour and enjoy at least one event in this 21st century concert place. 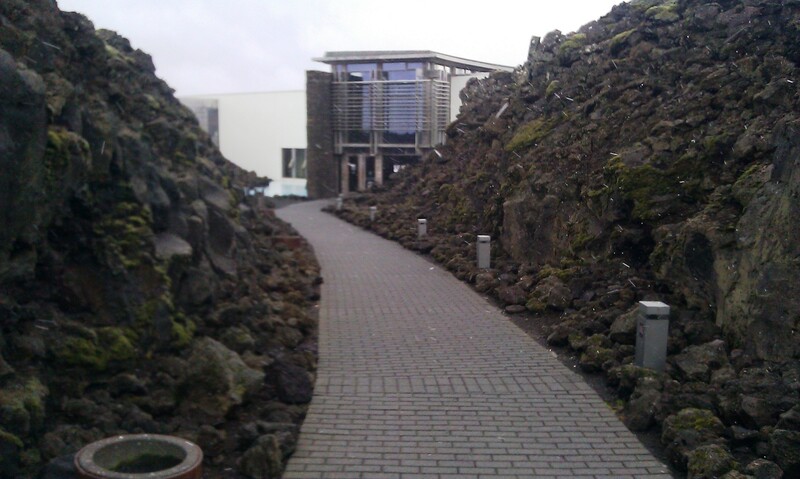 It has several concert halls, a fab restaurant at the top, magic light and Mount Esja as neighbour. The trip to Blue Lagoon was 80 CAD. It included transportation and access. The alley to the place is carved into lava. *** TIP: take a towel from the hotel. It costs 8 CAD to rent one. 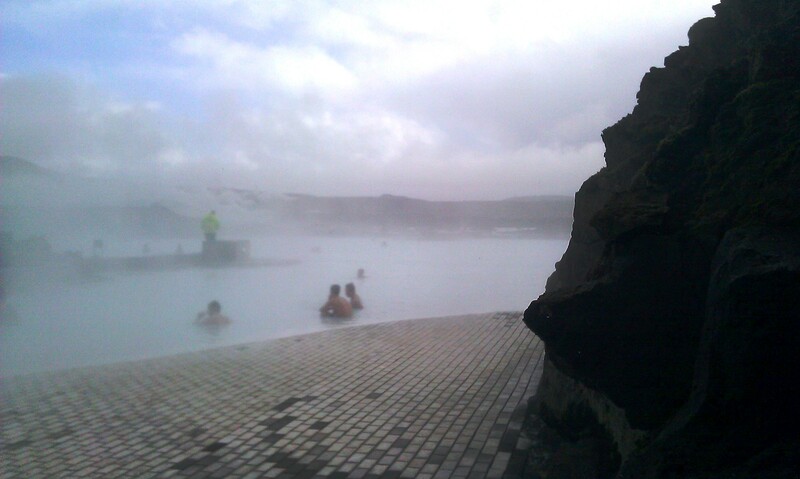 Inside the Blue Lagoon. One of the top ten wonders of the natural world, according to Discovery. A 45 minute ride from Reykjavik. ** TIP: If you pay a trip and take their bus, they return hourly. You can spend as much time as you want without the stress of a deadline. 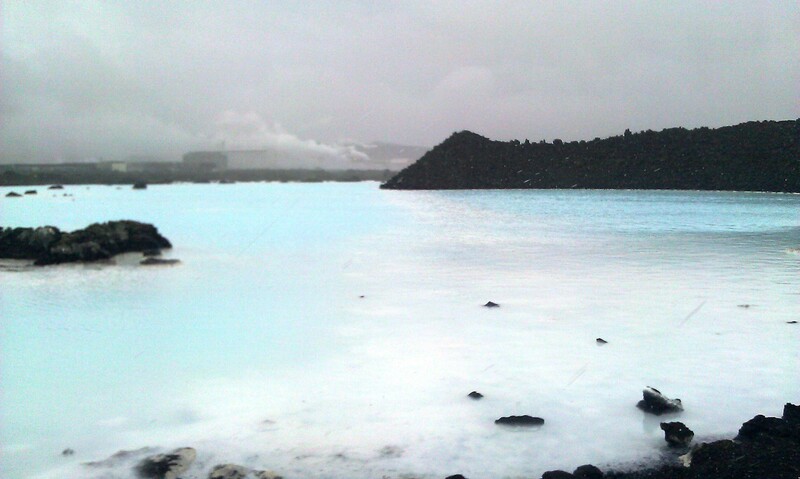 TIP: outside the Blue Lagoon, you can take a walk on safe paths and take pictures like this. 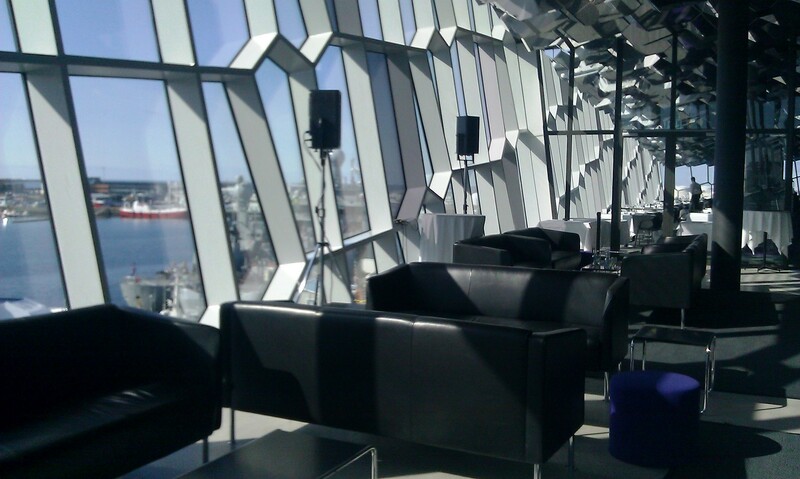 Posted in English blog and tagged as Esja, Harpa, Iceland, Icelandicair, Reykjavik, tips, travel. Don’t mind at all, please share at will. Cheers!